Designed to exercise the core muscles the Back Extension / Abdominal Crunch is great if you want to work on that six pack. User can either curl forward or push back after adjusting the pad position accordingly. The abdominal, (oblique’s to a lesser extent) or iliocostalis lumborum, longissimus thoracis and spinalisback, (erector spinae) muscles are exercised respectively. We have all been to gyms where a rusty old Ab cradle has been left in the corner of the gym for users to build an almighty 6 pack!!! 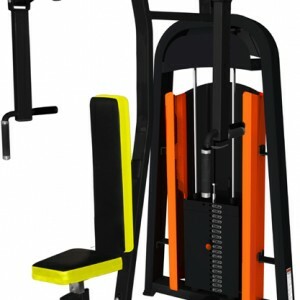 Why not invest in a proper gym ab machine and include a back exersise station at the same time. Approximate Assembled Size, 1.3m x 0.9m x 1.4m. 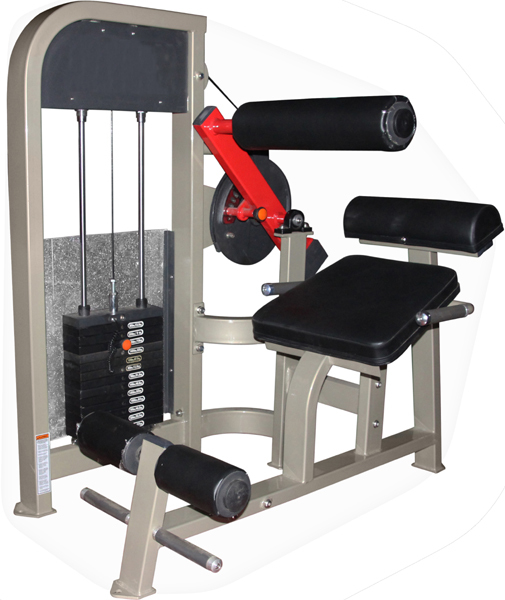 New for 2015, the Gymwarehouse Stock Range of Dual Purpose Machines. Perfect for the gym which is tight on space but wishes to take advantage of our Budget smashing range of discount commercial gym machines. The Dual Purpose range is similar in construction to our usual Stock range. 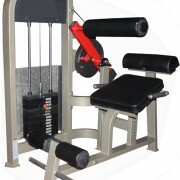 However, each machine is specially designed to allow the user to perform 2 exercises. Using a similar floor space as our Stock machines the Dual Purpose machines dramatically reduces the area required to provide a full range of strength training machines. 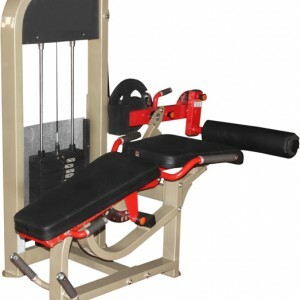 The range mainly consists of selectorised , (pin selected weight plates) for easy to use strength conditioning. However we have also included a few additional items to the range more associated with free weight training. General construction is from 100mm x 50mm x 3 mm Steel sections. Generally kept in stock in a Silver powder coat finish and deep red pads, other colours available to special request. We continually strive to improve and update our product. As such, stocked machines may vary slightly from images on website. An ideal piece of equipment for those wanting to work on their six pack.